Product prices and availability are accurate as of 2018-11-19 10:34:15 UTC and are subject to change. Any price and availability information displayed on http://www.amazon.com/ at the time of purchase will apply to the purchase of this product. Featuring 5 pockets, with loops and rings galore, this fishing and adventure vest has the features for any up and coming adventure seeker, angler, photographer, scientist, or traveler. Suitable for a fishing trip or just a walk in the woods, this vest can carry what your child needs. Made of a 100% Nylon shell plus an internal 100% polyester mesh lining, the vest has 5 pockets, some with magnetic enclosures and some with zippers for secure storage. Utilize the real magnetic plate on the right chest to hold the flies while fishing. 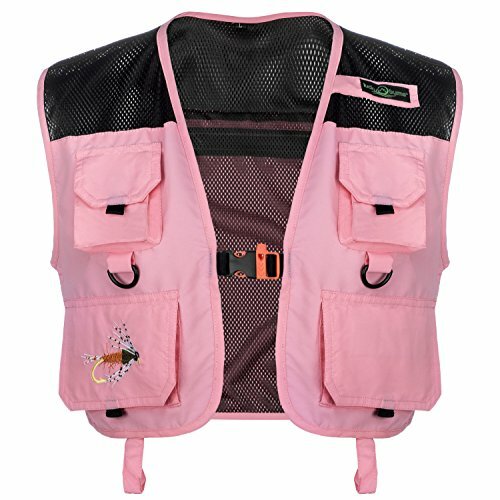 The front adjustable, kid friendly buckle has an integrated orange safety whistle. Finally, a vest for the kids that compares to the adult versions! Let your kids use their imagination with this vest; you never know what adventure it may lead to. KID FRIENDLY adjustable front buckle with integrated blaze orange safety whistle plus magnetic pocket enclosures for easy open and close. HIGH QUALITY MATERIAL including a 100% nylon shell and 100% polyester internal mesh lining. DURABLE AND LIGHTWEIGHT at 0.25 pounds your little adventurer can wear this all day without being bogged down by an overly heavy utility vest. 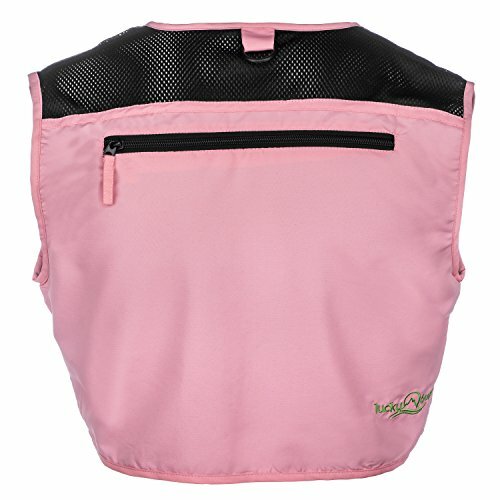 MULTIPLE POCKETS, LOOPS, AND ROD-HOLDER STRAP make this the ultimate fishing, adventure, utility kids vest out there. Including a large pocket on the back, snap and zipper close compartments on the front plus two internal zip pockets!